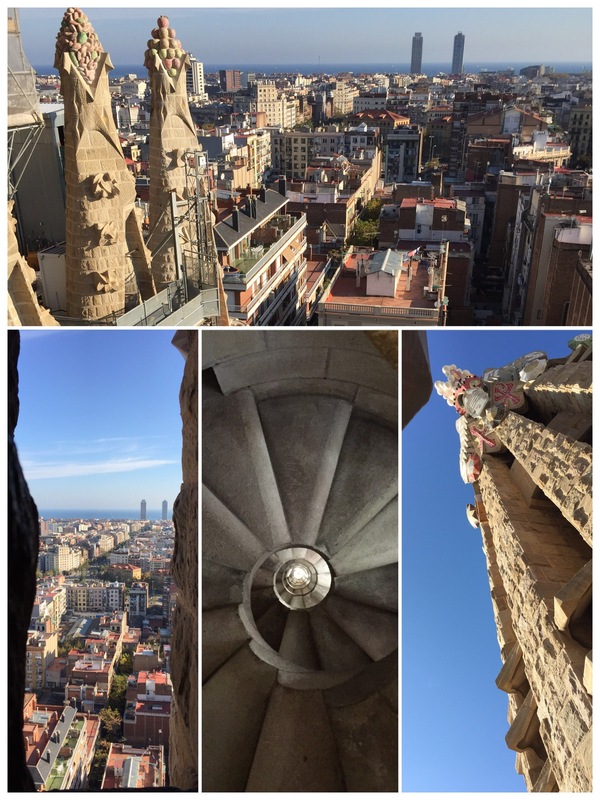 Before Barcelona, I have not heard of the name Antoni Gaudí. I have seen pictures of wacky buildings but did not think much of it. A stroke of fantasy perhaps? 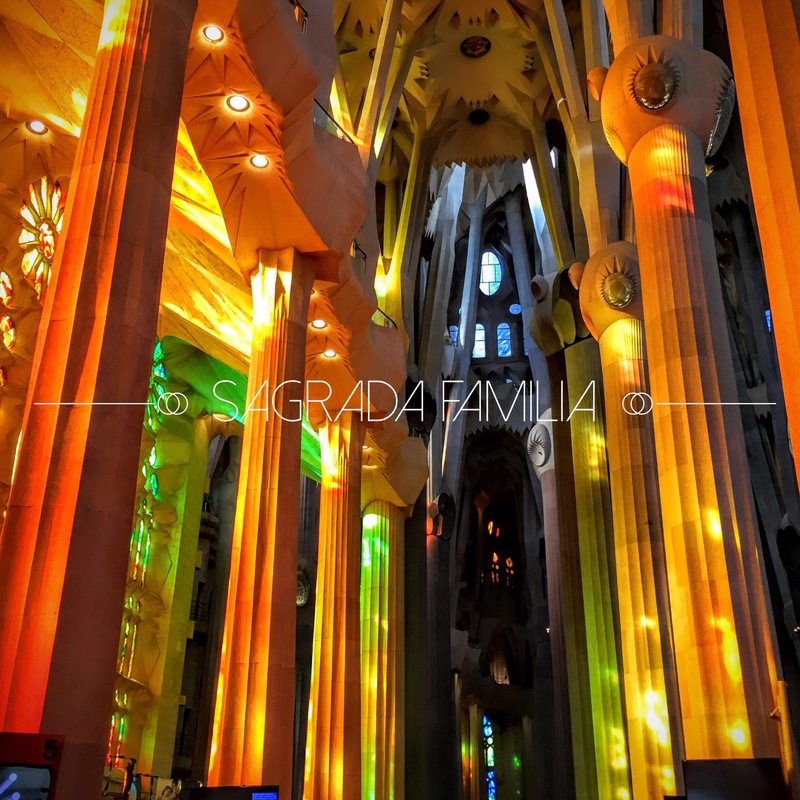 What I knew was that every traveler to Barcelona must visit Sagrada Familia, a basilica in the works for over a hundred years. 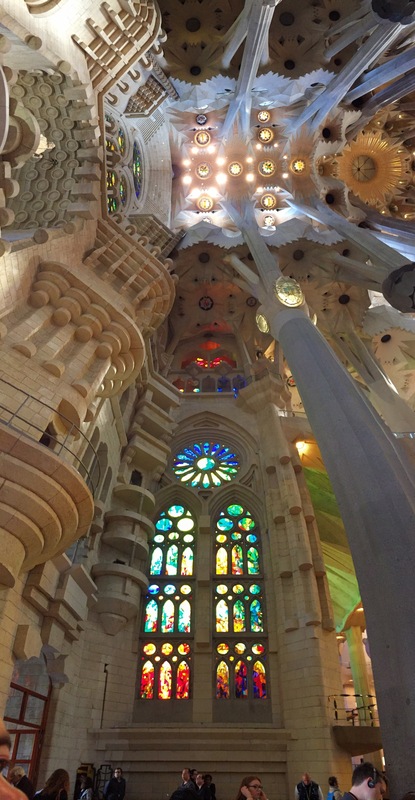 I went by metro, and the amazing thing is, not matter which exit you take to the Sagrada Familia station, you will surface beneath the building much like swimming with a whale shark for the first time, and be in awe of its grandeur. TIPS: Purchase entry tickets online to save time! You can select entry time, option for guides, and additional access to the towers. Best time to enter is between 1-2 pm when the sun is high to experience the interior lighting effect as intended. Reserve at least 4 hours for this visit! It’s a true masterpiece one can enjoy. We bought entry ticket, audio tour, as access to the Passion Tower (supposed to be high than Nativity Tower) which total to €50 for two persons. 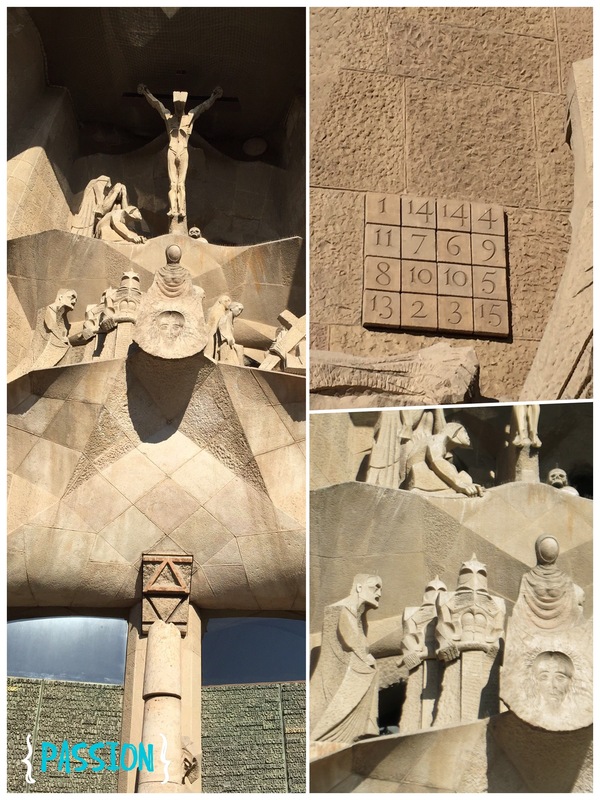 This façade illustrates stories from the birth of Jesus up until he becomes an adult. With intricate details and lifelike carvings, this is a complex exterior to follow. This façade portrays Jesus’ life as a teacher, his suffering at the cross and his resurrection. The style is the opposite from Nativity, straight lines and origami-like cutouts; it is almost contemporary. Inspired by nature, natural elements radiated through every design detail. 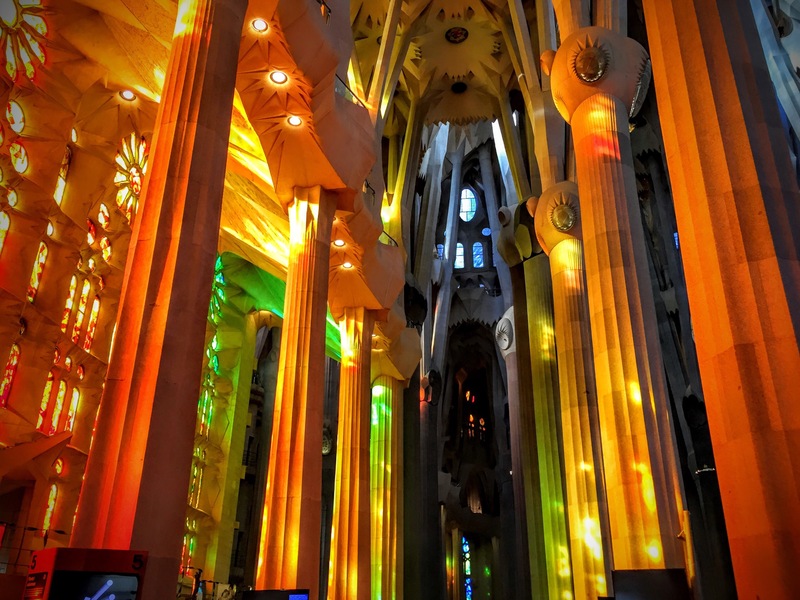 Tree like columns, symmetry, organic lines and even the ever-changing light was captured through stain glass windows. 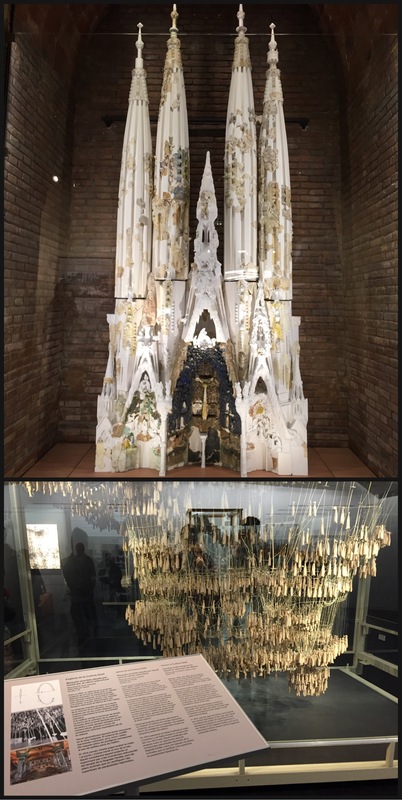 On the basement level is the museum and lab of Sagrada Familia. On display are variations of initial designs and many models and images over the years. 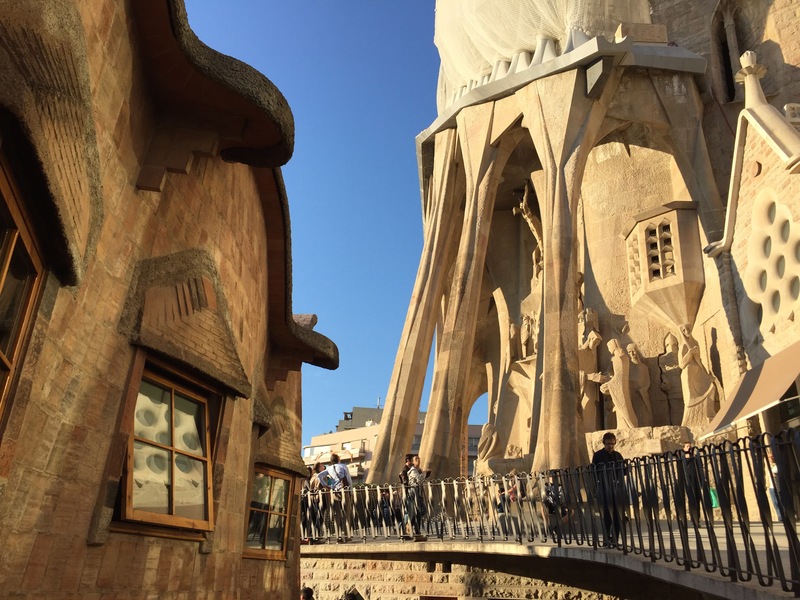 The most intriguing are the upside down string models of the towers that Gaudí used to calculate the effects of gravity on the load bearing portions of the building. 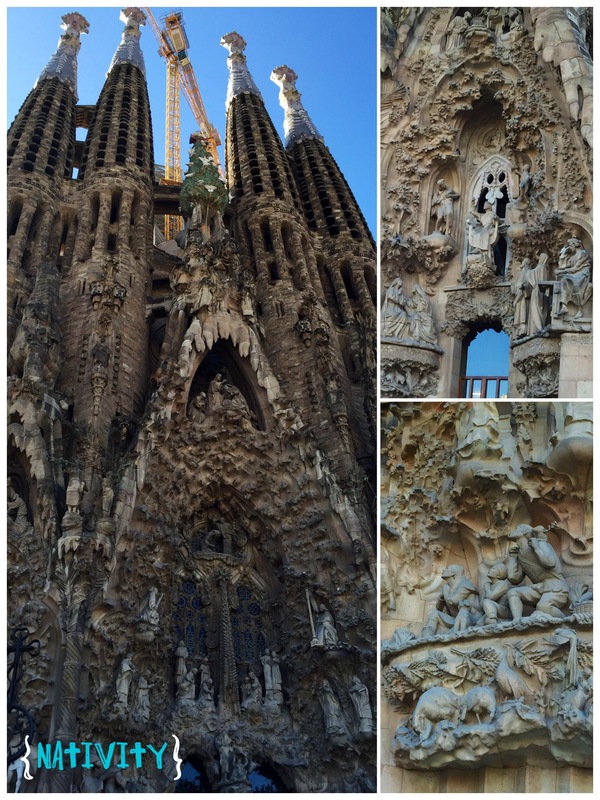 Sagrada Familia is one of the most incredible experience I’ve had abroad. A place that embodies joy, spirit, whimsy, beauty, science, nature, unity, and—time. You can see time here, through light. It’s more than art. 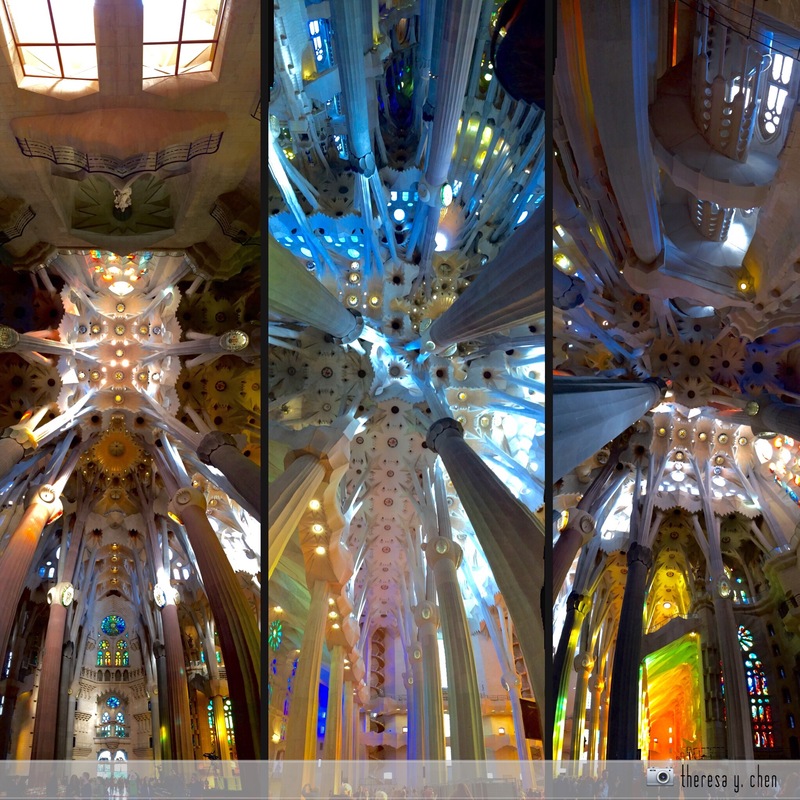 It’s Gaudi’s vision of eternity. And it is not finished yet! 2026 — when the projected finish date will be. I sincerely look forward to visiting when it is. Check out the CGI video here; it looks otherworldly and utterly stunning!